Rise and shine, it’s breakfast time! 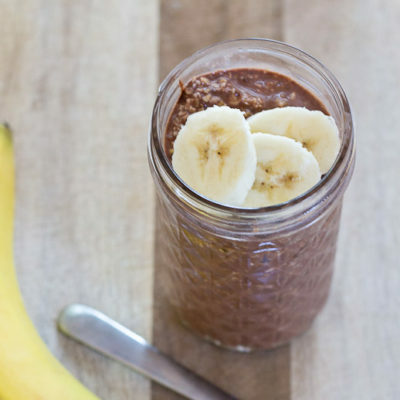 Jumpstart your day with this high protein Chocolate Banana Overnight Oats recipe… all dessert-y and no cooking required. Grab and go convenience. Gluten-free. Great source of protein and fiber. Place all ingredients in a large mason jar; tighten the lid. Shake it up; place in fridge overnight, or at least 8 hours.